Starring: Jennifer Lawrence, Josh Hutcherson, Woody Harrelson, Lenny Kravitz, Donald Sutherland. With the blockbuster book set to become the biggest film of the season, it is impossible not to feel like The Hunger Games has missed a real opportunity to make an influential movie. For fans that are already familiar with the material, the film is probably fine, or at least adequate. For newcomers, it is an unequivocal dumbing down of some genuinely interesting conceptual content; a film inexplicably designed to set up a new franchise rather than deliver serious commentary on the serious social themes that arise within the material. The basic story takes place in a dystopian future where ‘the Capitol’ rules over the country of Panem (in what used to be North America), and uses ‘The Hunger Games’ to suppress the surrounding districts. Each year, one girl and boy are randomly chosen from each of the 12 districts to participate in the Games – where the 24 “tribute” children fight to the death until only one remains. With one or two exceptions, the non-District 12 tributes (that is, everyone other than our heroine, Katniss Everdeen) are blank caricatures that leave next-to-no emotional impact as either victims or villains. Obviously, with 24 tributes, it would be hard to get to know everyone; however the experience could have benefited from more time spent with the others. On the technical side, the camera work leaves a lot to be desired. Quick, frantic cuts probably helped the film maintain a more family friendly rating, but as a result, the film is short on captivating battle choreography or epic one-on-one confrontations. The action scenes that exist are shot on hand-held shaky-cam, and can be almost nauseating to watch. Part of the problem arises from the direction of Gary Ross – the master of movies that settle over you like a warm blanket. Ross delivers a family-friendly version of the gladiatorial death match with all the sharp edges are smoothed off. You have to wonder what the film could have turned out like in the hands of a horror auteur such as Guillermo del Toro. The best adaptations take novels and add something more to them, but this installment feels like a reduction. 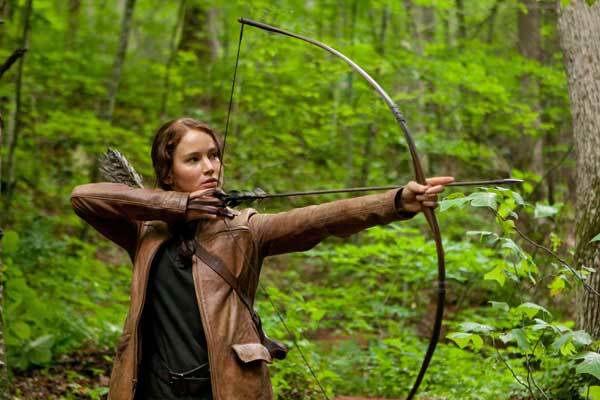 Rather than the engrossing, world-building spirit that imbued the Lord of the Rings and Harry Potter films, The Hunger Games is little more than a by-the-book (and buy-the-book) adaptation.